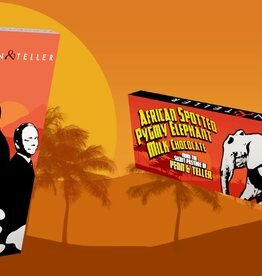 Introducing the African Spotted Pygmy Elephant Solid Milk Chocolate Bar by Penn & Teller! 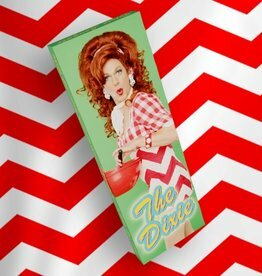 Dixie has created her own special chocolate bar consisting of milk chocolate, caramel, peanuts, and a little sea salt! It is so delicious you will not have any left over to store in your Tupperware. You shouldn’t wear a tube top while riding a mechanical bull but eating a chocolate bar we are all for! 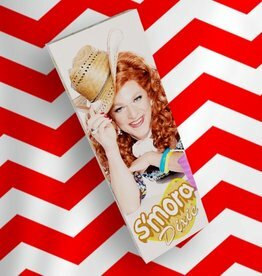 Introducing the S’mora Dixie Bar… Milk Chocolate, Marshmallow Creme, & Graham Cracker will make you tingle in places you didn’t know you had!